Of all the things you can hope to reap in this life, another way of seeing things or seeing yourself in a new way may yet provide an unexpected cornucopia. To reap this harvest, the challenge is to grow more windows in your garden. Why windows? Well, because a window is also a mirror. It allows us to look at the world and see ourselves. Of course, we all think we have an understanding of why we believe what we believe. But informed understanding is living in a house where you acknowledge that every room has a point of view. Simply put, acknowledging the point of view of others adds to your view. If you doubt this for a moment, think on the last time shutting your eyes added to your vision. 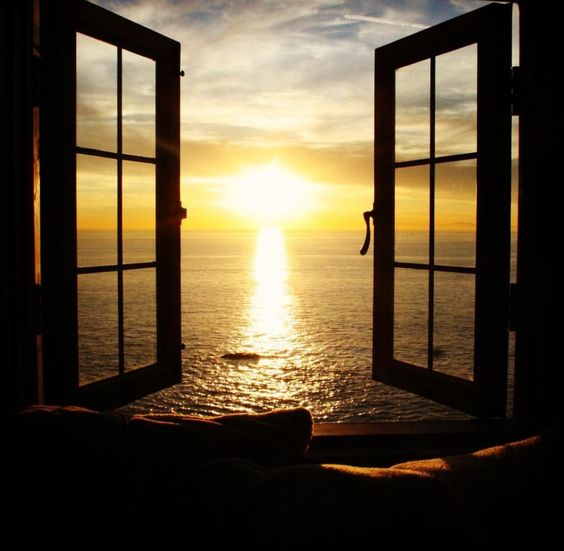 The windows you don’t open on your own life, keep you in the dark. And what you will trip over in life can be painful. What you don’t see in others is the ego’s choice to keep you blind in support of what it chooses not to see. And as an ancillary negative, to the ego’s blindness, all things are sudden. Why? Because what you don’t pay attention to, happens overnight. So, no matter the life success you are hoping will grow in your garden, make sure to plant windows, and lift the shades, and wipe down the view within and without. Because without you making that effort you’ll find your days a little darker, a great deal more confusing, and limited to the bias of your own perspective. Growing windows is a harvest and a bounty against blind famine.